LTC is the second important cryptocurrency. 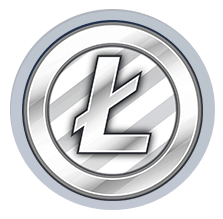 Litecoin is an Internet currency peer-to-peer, which enables to send instant payments to anyone in the world. Litecoin is based on the protocol of Bitcoin, but the different from Bitcoin is that Litecoin can be effective mined with a cheaper hardware, its mining is so accessible for more people, it will suffice them just CPU (it will not pay to mine Litecoin on ASIC miners). Litecoin also provides faster confirmation of the transaction (2,5 minutes on the average) and uses the memory and scripts on the base of the mining proof-of-work algorithm. The network of Litecoin is planned for the maximum number 84 millions of currency units. One of the targets is to give to Litecoin a mining algorithm, which could run in the same time, on the same hardware like Bitcoin. With the accession of the specialised ASIC for Bitcoin to the market the likelihood is that after ASIC miners, which should be developed for Litecoin, will be this currency broadly used. Litecoin is free software, which is spread under the licence MIT/X11, which gives you the possibility to adjust and copy the software and the distribution at one's discretion. You can make modified copies of the software (altcoins, which follow with Litecoin). The software is run in a transparent process, which enables an independent verification of the binary files and its source code. The reason to think, that the value of LTC will grow, is just thanks to the community, which stands behind it. For the growth of the value is important to begin developing the purses, and so also for less experienced users will be easier to buy and sell LTC. Nevertheless, that´s why more vocal developers are needed, that will try to develop the purses. For the next development of the rate of litecoin will be also deciding the number of various services and goods, that will be possible to buy for Litecoin. Nevertheless everything is yet in the beginning and it´s necessary to make use of the opportunity.